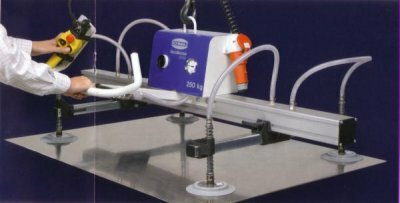 Vacuum sheet lifter. Built to your requirements to pick up any weight you deal with. Simply hangs off your current crane or jib.